A relaxed townhouse hotel a few moments walk from the shopping and nightlife of Knightsbridge, The Franklin is universally praised for its staff, who are on hand to help with everything from jogging routes or personal shopping. 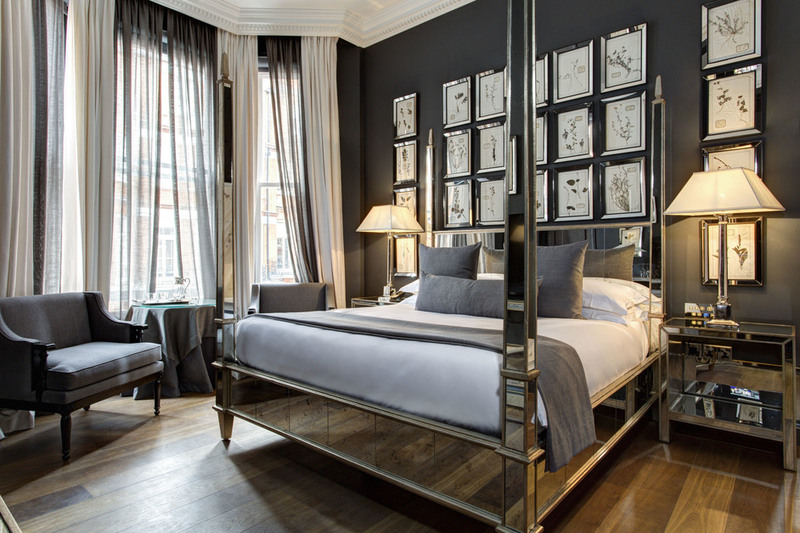 It reopened under the ownership of Starhotels in 2016 with a completely fresh look from renowned designer Anouska Hempel, famous for boutique hotel Blakes. Eastern influences with echoes of Italy and Morocco can be seen in whites Carrara marble floors, floor-to-ceiling Venetian screens, hangings from Istanbul and wrought iron balustrades. The resulting dramatic-yet-whimsical design creates a standout hotel on the luxury London scene. Oversized Venetian mirrors oversee the restaurant while mirrored walls line The Franklin Bar next door to create a stylish, Gatsby-esque escape for pre-dinner drinks or a cocktail. Sweat it out in the fitness room and relax in the Hammam on the lower ground floor. Are you booking for a group of people? If you are making a booking for a group of people and require over 10 rooms, you may prefer to speak to the Group Booking Department for The Franklin Hotel bookings. Special deals can be arranged for groups, including discounts and arrangements for adjacent and inter connecting rooms if required. Call the Groups Reservations Department on 020 7292 2307. The best way to book a group deal is to complete the online form for group reservations at The Franklin Hotel. What are the best dining options near The Franklin Hotel London? The Franklin Hotel gyms, sporting activities, health & beauty and fitness. The best pubs near London The Franklin Hotel. The Franklin Hotel clubs, bars, cabaret nights, casinos and interesting nightlife. Where to have your meeting, conference, exhibition, private dining or training course near The Franklin Hotel. From cheap budget accommodation to luxury 5 star suites see our special offers for The Franklin Hotel hotels, including The Egerton House Hotel London from 81% off.